For ten years, Dutch-Sardinian entrepreneur Marisa Garau (1968, Delft) ran her Amsterdam based advertising agency, all the while fighting chronic stress, auto immune disease and depression. After being struck by burnout, she bravely faced her misery and found enlightenment in the practice of mindfulness, which caused a deep transformation within her. Her first book From Stress To Strength - With The Power Of Mindfulness (2007) quickly became a bestseller in The Netherlands and also came out in French and English editions. It's Garau's personal mission to make mindfulness readily accessible to audiences around the world through her organisations. Together with her wonderful partner of 23 years, art-director and designer Arjan van Woensel and their two cats, she now lives in Amsterdam after having lived in New-Zealand for nearly 6 years. 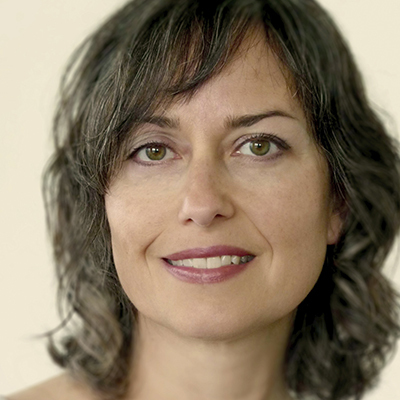 In 2012 Garau successfully launched her new, very powerful Growing Mindfulness e-Courses. These 31 day e-courses aim to help (female) high achievers who suffer from chronic stress due to the demands of their career, family life and social obligations. Garau's target group has no time for the daily 45 minute mindfulness meditations, and so her e-courses offer short but powerful exercises which the participants can incorporate in their daily lives, whether at home, in the office or even travelling for work.